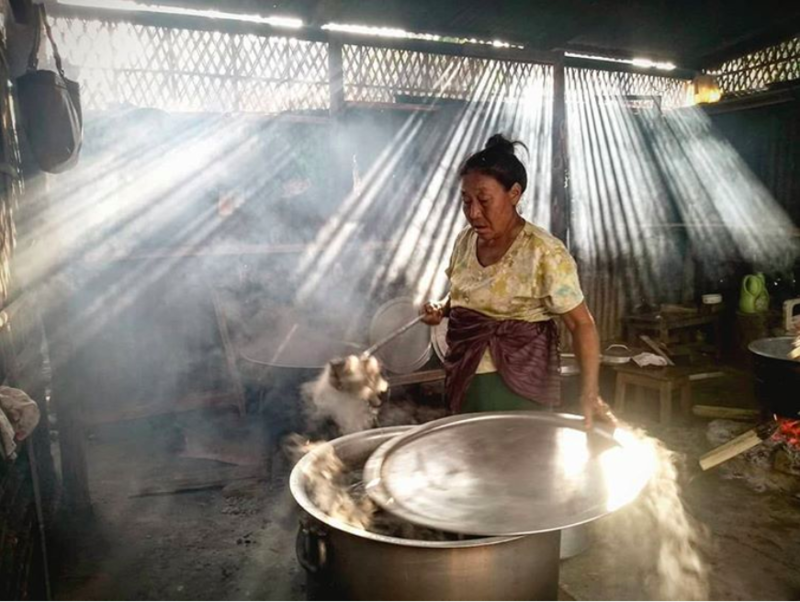 Robert Capa, known as one of the greatest war photographer and photojournalist in the history once quoted, “If your photos aren’t good enough, then you’re not close enough.” True to these words, this young talented photojournalist Kekhriezhazo Miachieo from Nagaland has embarked on a journey different from many others. What sets him apart is his simple photographs that speak a thousand words as he unwinds a different emotion each time he clicks his shutter. 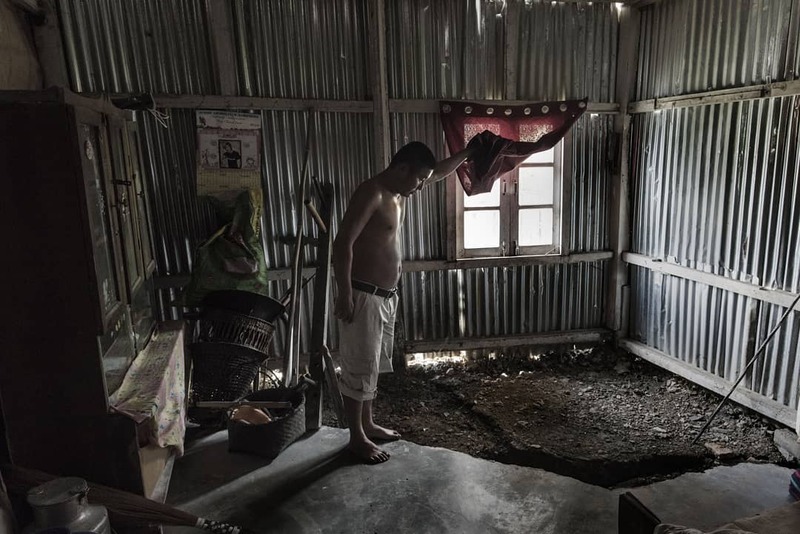 R&L had a conversation with Zhazo Miachieo, a photojournalist, from Kohima, Nagaland about his journey, his recent series of work – “Floods in Nagaland” and more. Read on! 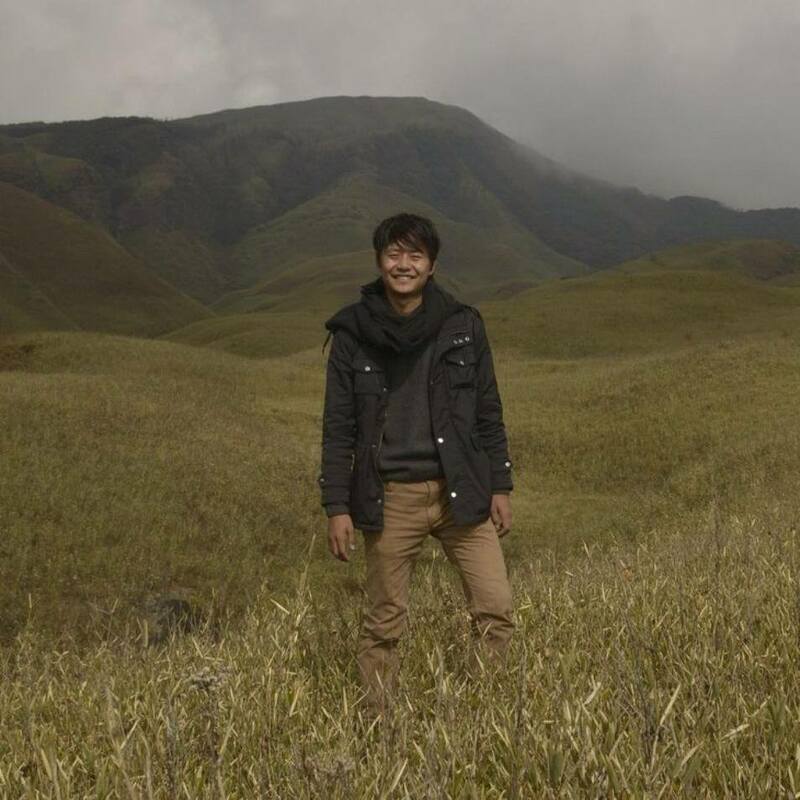 Zhazo Miachieo is a photojournalist and story-teller from Kohima, Nagaland. It’s such a pleasure to have you with us Zhazo! Tell us a little bit about yourself. My name is Kekhrie Zhazo Miachieo and I’m from Kohima, Nagaland. 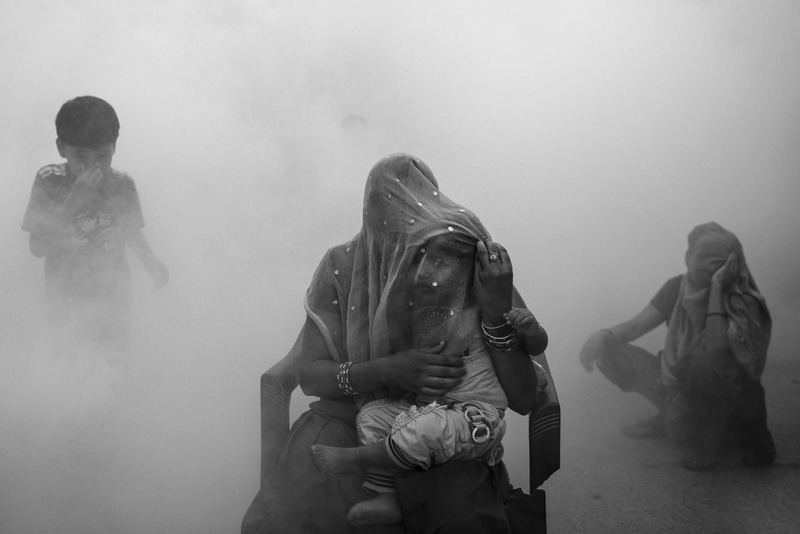 I started off with a two-month long internship at Hindustan Times in New Delhi and that eventually led to a full-time job as a staff photojournalist for 1.5 years. 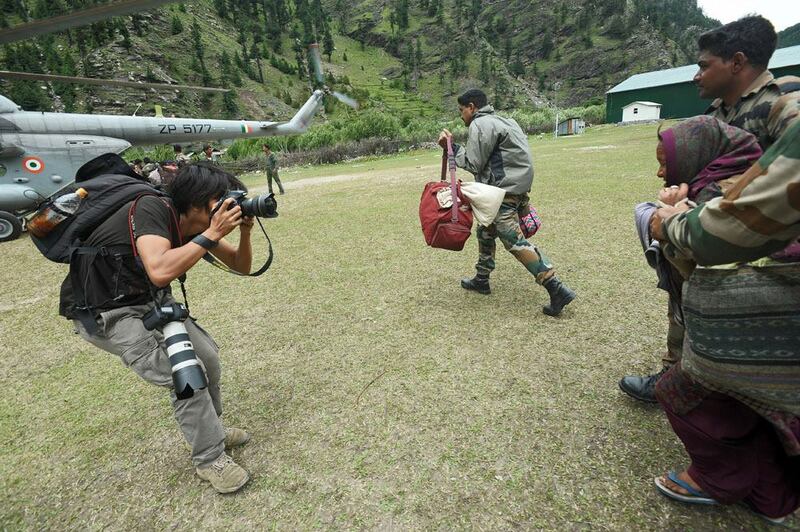 Later, I joined India Today Magazine as a photojournalist in 2013 and continued till 2017. I now work as a freelance photojournalist based in Kohima. Art has always been associated with me since childhood and I was always very passionate about it. In the Summer of 2006, my dad bought me a camera and I haven’t stopped clicking since then. 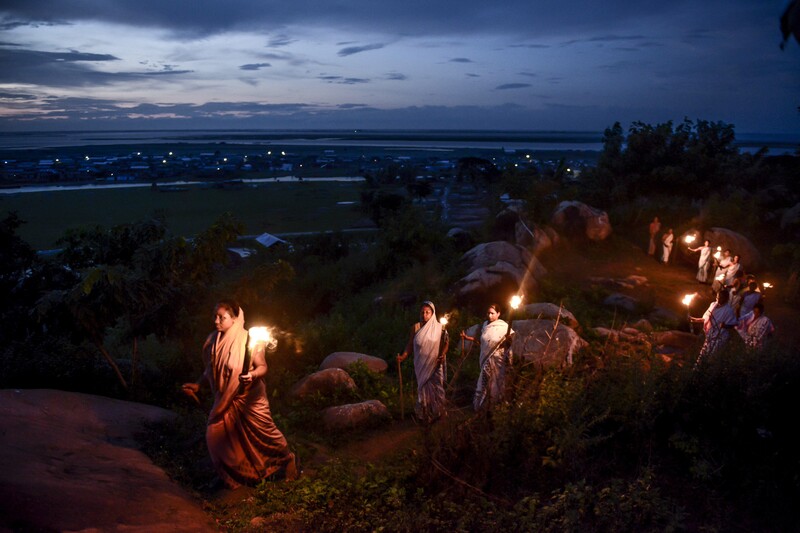 Sebastião Salgado, James Nachtwey, Ansel Adams, Diane Arbus and Raghu Rai are some of the photographers I admire and look up to. How have your roots influenced your work? What gets your particularly excited about pursuing photography as a full-time job? I’ve been working as a full-time professional photojournalist since 2011. Social issues always get me interested and it drives me towards excelling at my work. Delhi Municipal field workers fumigation carried out at colonies to prevent mosquitos from breeding in New Delhi, India, October 03, 2013. 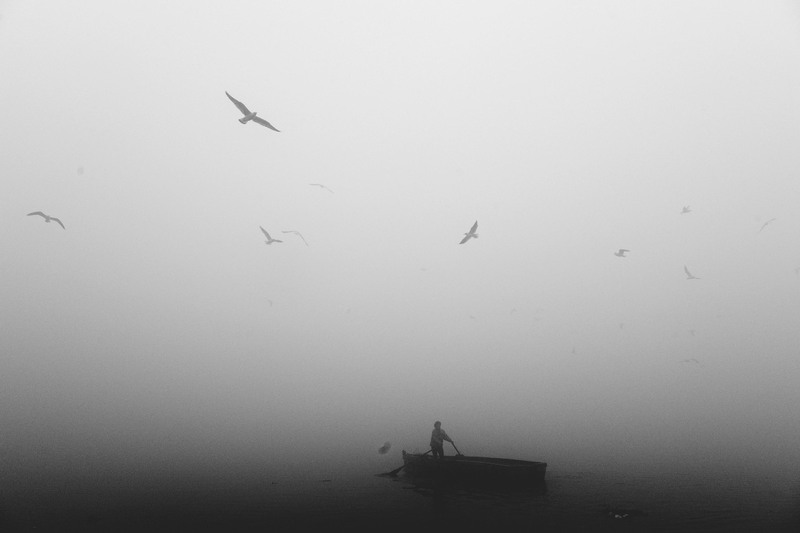 A photograph by Zhazo Miachieo. You have a beautiful way of sharing stories through your photographs. How do you go about composing your frames? The things that I photograph are all extensions of myself. I’m usually very selective in shooting but, at the same time, I’m always looking out for good pictures. What I see and photograph is a way of finding myself, the things that I’m experiencing or have experienced in life and what I’m expecting from the unknown. 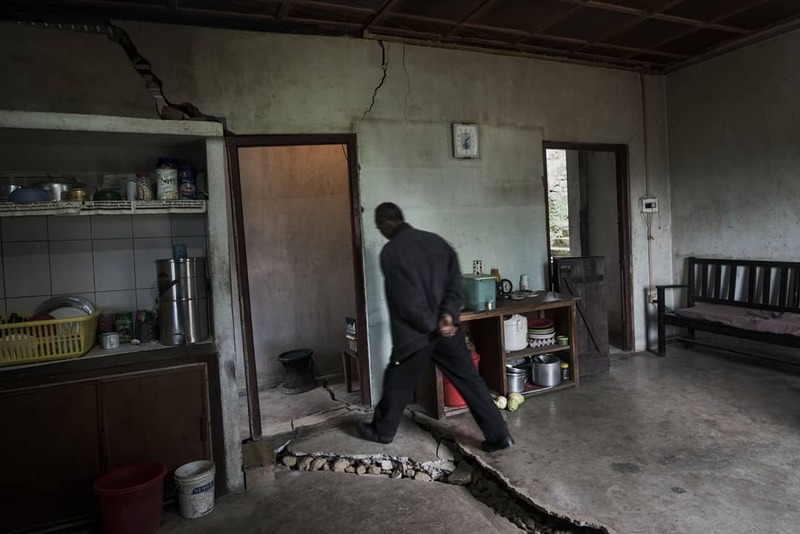 Your recent series of photographs is titled “Floods in Nagaland.” What was your experience traveling across the state and how did it change your perspective on life? I work hard but I try to be smart about it. As for inspiration, it usually comes when I’m least expecting it. I am most inspired when I hear or find out about new stories happening around. Tell us about places you traveled covering stories and what was your most memorable photoshoot/photo. 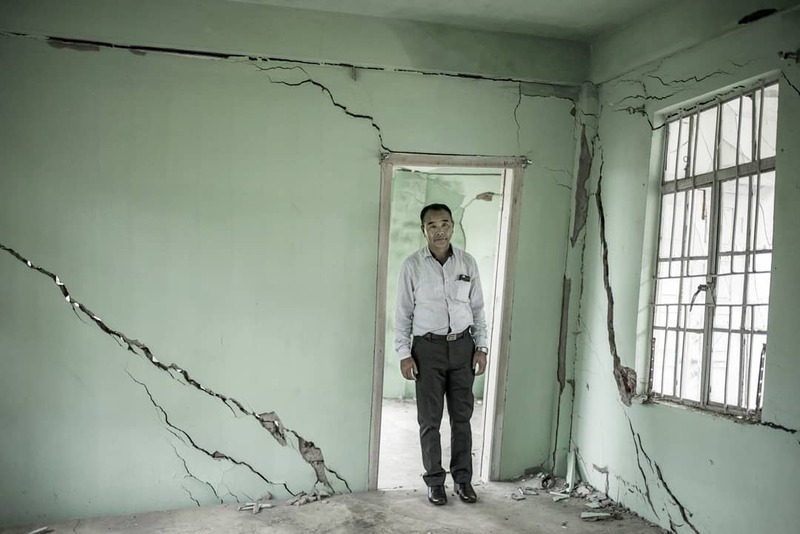 The aftermath of the Nepal earthquake, Muzzafarnagar riots, Kashmir floods and the Uttarakhand floods are some of the places I’ve traveled to covering stories through my photographs. 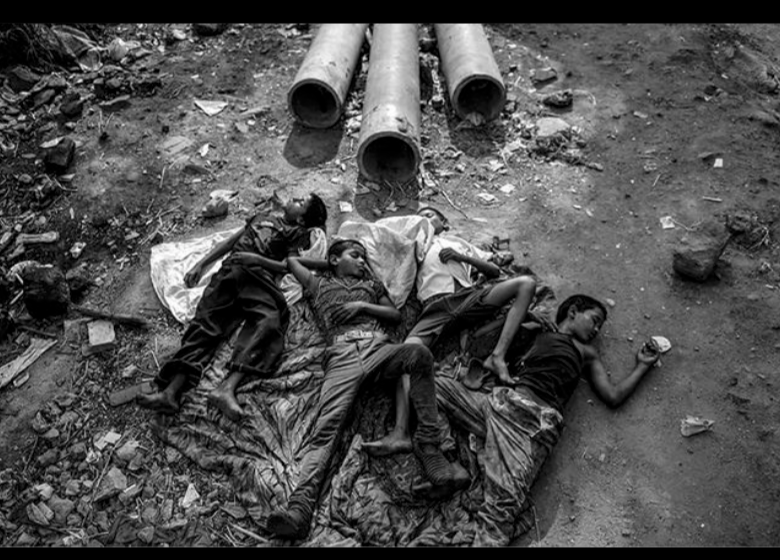 Parts of Zhazo’s photo series called “Cycle of Street Life” where we covered street children in Delhi battling substance abuse, that won him the TOTO Tasveer Young Photography Award in 2017. 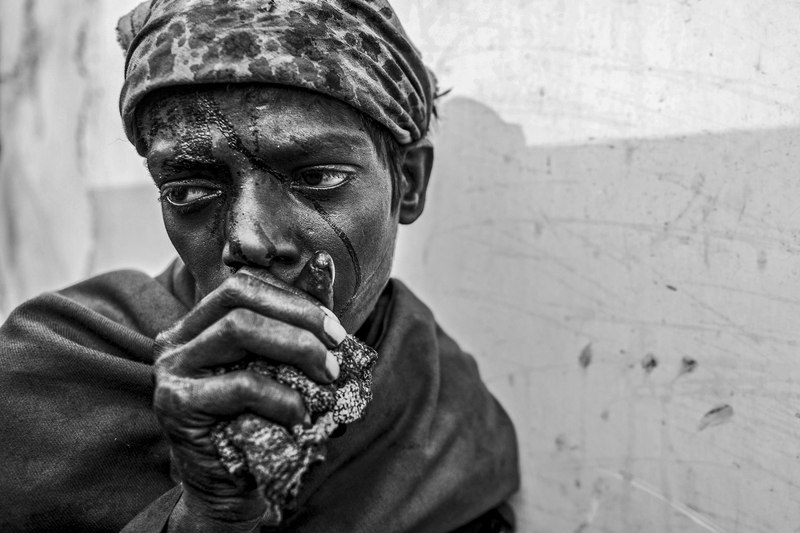 Parts of Zhazo’s photo series called “Cycle of Street Life” that won him the TOTO Tasveer Young Photography Award in 2017. Zhazo Miachieo in action on a shoot. 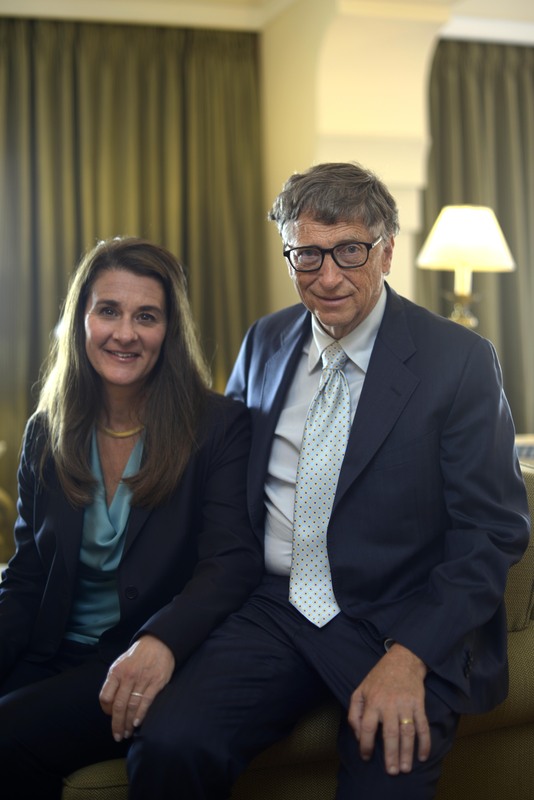 Bill and Melinda Gates clicked by Zhazo in New Delhi, India, on 18 September, 2014. 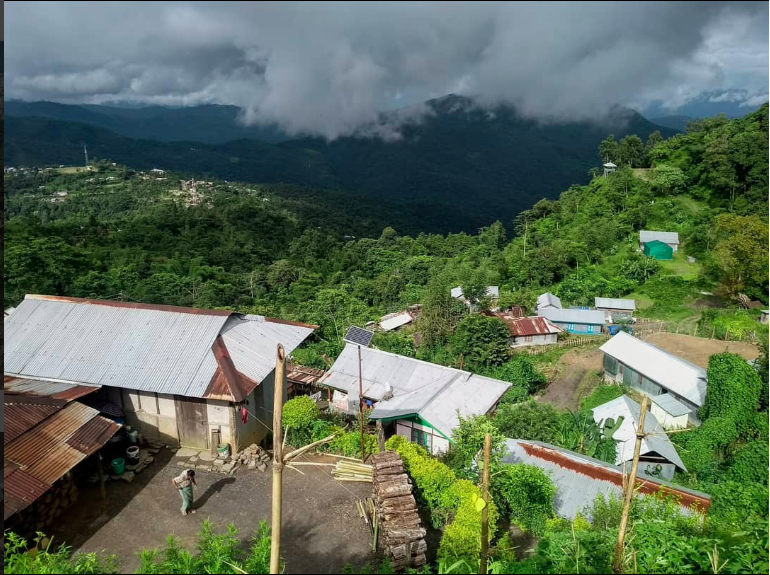 Your take on the photography scene here in Nagaland. I want to evoke in the viewers a sense of curiosity and embark them onto a journey that they can create or relate to these images. 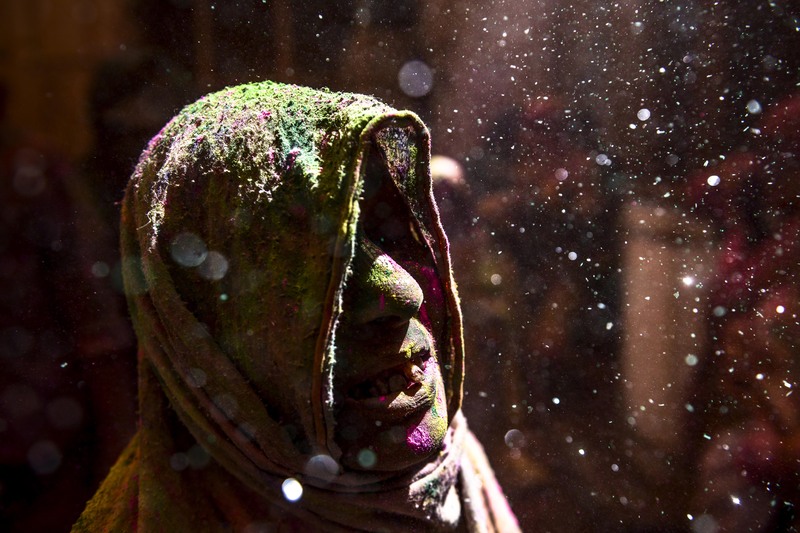 A widow daubed in colors takes part in Holi celebration | Photo by Zhazo Miachieo. 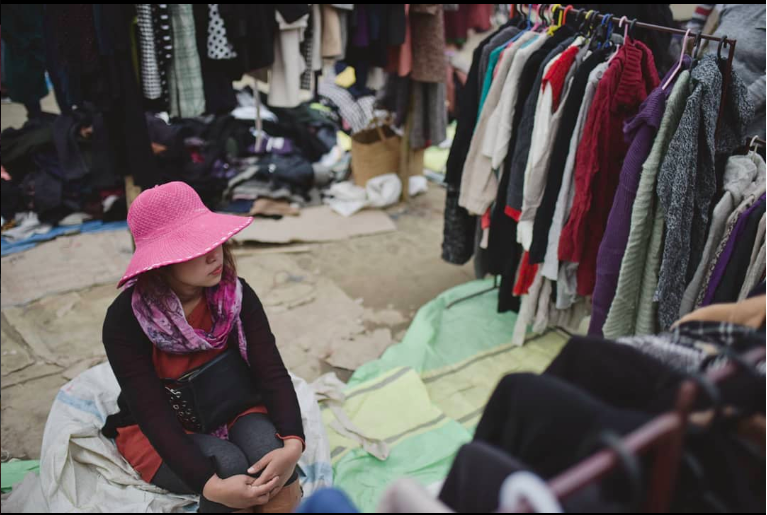 Follow Zhazo on Instagram on his beautiful journey of storytelling and capitulating them in photographs.